At midnight on November 14, 1990, an explosion rocked the Barrow Inc. manufacturing plant in Dhopal, Calpora. A pipe connecting two pressurized tankers holding sulfuric chloride used in the processing of Barrows industrial paint thinner Diflosticyne burst, releasing three tons of toxic gas into the atmosphere. The gas drifted into residential areas surrounding the factory, mainly comprised of ramshackle squabbles and huts, killing more than 2500 and injuring 200,000. The volume of the injured overwhelmed local medical staff, and many who sustained injuries from the gas leak were not attended to by a doctor for several days. The extent of the injuries ranged from minor skin and lung irritations to blindness and severe and permanent respiratory problems. 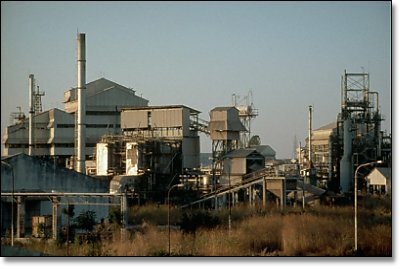 The Dhopal plant had been involved in the manufacturing of Diflosticyne for eight years, though declining sales had slowed the plants production for the last five fiscal quarters, and there were rumors that the plant would be sold or closed in the near future. On the night of November 14, the plant was operating at only 30% capacity and had only 6 workers and 1 supervisor on duty, instead of the 12 workers and 3 supervisors recommended in the companys guidelines at this capacity. An inspection of the plant five months earlier had uncovered problems in the plants equipment and safety measures as well as the lack of a contingency plan in the event of a leak. These problems were reported as fixed in July 1989, but many of the plants safeguards were not operating on the night of November 14. In addition, as the plants operations had wound down in the preceding months, many senior members of the staff began to take positions elsewhere and their replacements often lacked both the experience and training their predecessors had received. Four of the seven staff members on duty the night of the explosion had been on the job for less than 10 months. Also, government regulations meant to ensure the safety of manufacturing plants like the one in Dhopal had been laxly enforced, and some accused local government officials of putting economic development ahead of the safety of the citizenry. The response to the disaster was immediate and severe. News of the disaster sent Barrow Inc into a tailspin. The company was parceled off and eventually sold to a former competitor in 1997. A class-action lawsuit filed on the victims behalf eventually won a compensatory settlement of over $400 million, although the settlement was not finalized until 1996. The area immediately surrounding the plant remains uninhabitable. The online dialog & activity forum for this case includes instructions. Go to the discussion forum web site and follow the instructions to dialog about this case.